If receiving a monthly box packed full of delicious food and drink delivered straight to your door for a bargain price sounds like your kind of thing then you need to check out Degustabox! 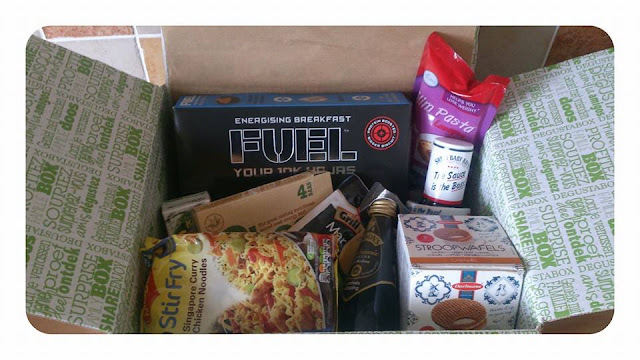 Degustabox is a monthly subscription box that is delivered straight to your door for the monthly price of £12.99. Each box will contain between 10-15 products and the RRP of the products will always far outweigh the price you pay for the box, giving you the chance to try some fantastic new products for next to nothing! This month we were informed our box was coming early and we were all very excited for its arrival! The May box had a slight BBQ theme to coincide with all the nice weather we have been having so we were even more intrigued what was going to be inside, are you intrigued too? Well here is what was inside our May Degustabox. 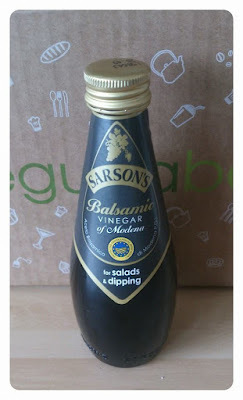 My husband is a huge BBQ sauce fan and so was delighted to find another brand in our box this month. 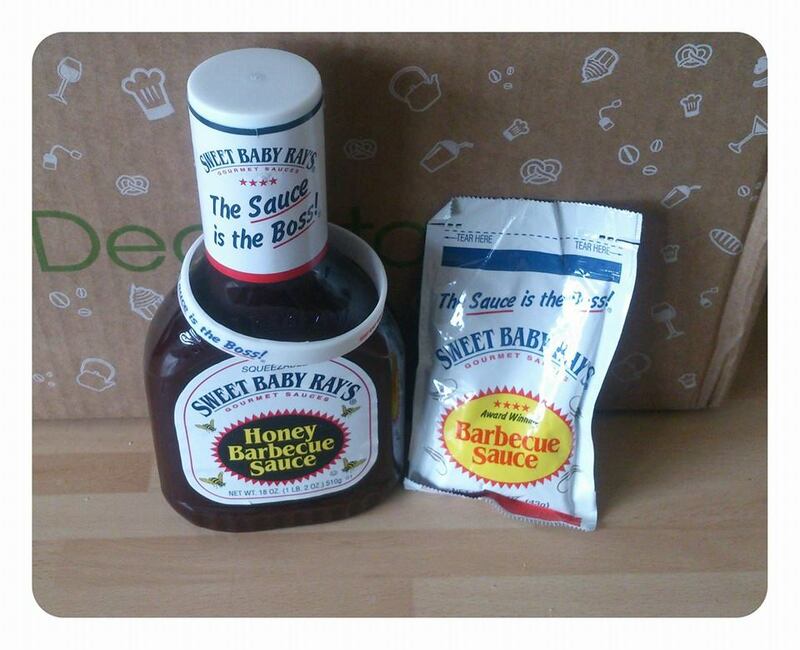 This month it was Sweet baby Ray's straight from the USA. Sweet baby Ray's honey BBQ sauce has a sweet yet smokey flavour and is really versatile, it can be used for marinating, cooking with or just for dipping to name a few uses. We really enjoyed it especially on chicken. Schwartz have made marinating easy with their new marinade in a bag kits. You simply add your meat, fish or veg into the bag which already contains your marinade, seal it up and cook for 30 minutes. 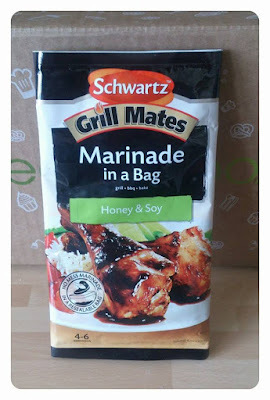 We tried the honey and soy marinade with chicken and can honestly say it was so simple to use and the chicken was packed full or flavour and was so tender, really delicious! We have received several Maggi products in previous boxes but its always nice to try new things from the range. These noodles are quick and easy to make and pack a whole lot of flavour. 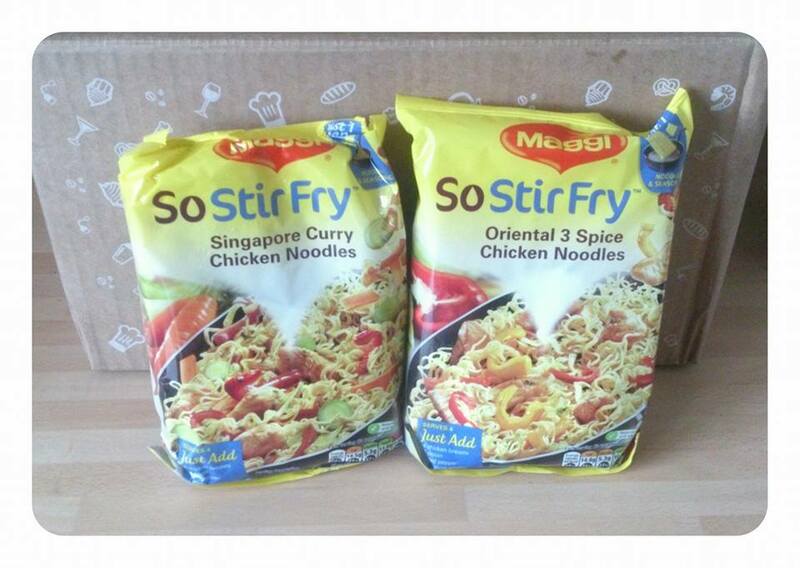 Just add the seasoning sachet to the noodles, cook and add meat, fish or veg to create a tasty quick meal. 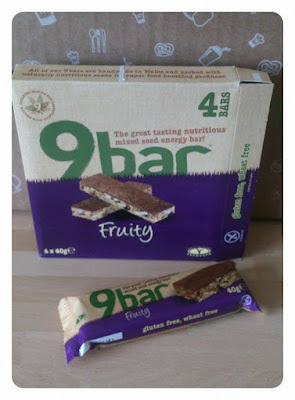 9 Bar is a healthy snack that is stacked with nutritious seeds including sunflower, sesame and pumpkin which are combined with dried apricots and dates and then topped with carob to make this healthy snack bar. I was a little apprehensive about trying these but they were actually quite tasty! As I have been making a real effort with my diet recently these have been perfect for keeping in my bag in case I get peckish. 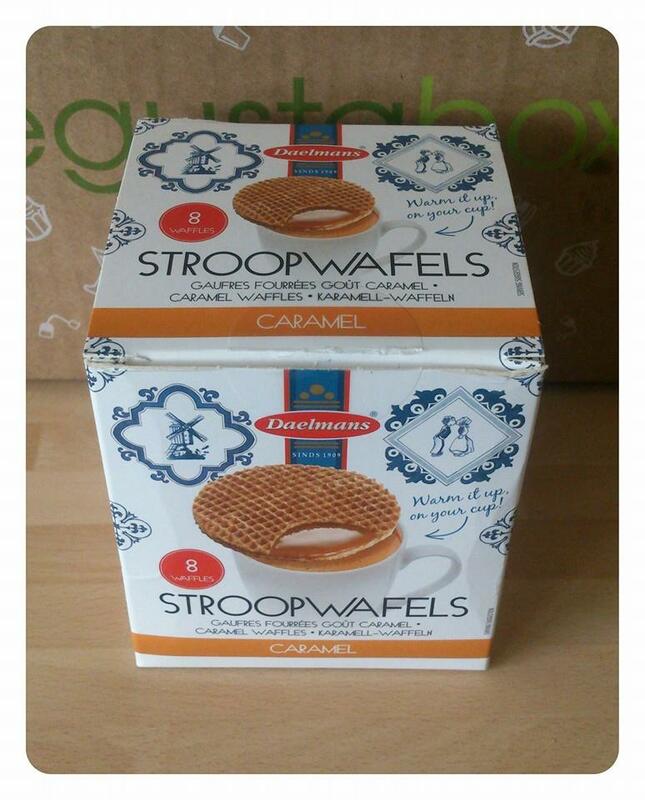 These authentic dutch stroopwafels taste amazing!! They offer a crunchy outside with a creamy caramel centre. Stroopwafels are actually designed to be placed on top of a cup of tea/coffee and warmed slightly before consuming, however im not a fan of hot drinks but they tasted just as delicious eaten straight from the pack! With summer well and truely on its way I have been enjoying more salads for lunch recently and I am always looking for ways to make them more interesting. This full bodied balsamic vinegar from Sarsons has definitely done that! It turns any boring salad into a tangy delight with a really punch of flavour. I was really intrigued to find Slim pasta in my box as it isn't a brand or product I had seen before. Slim pasta is made from all natural konjac flour and oat fibre meaning slim pasta is a low calorie alternative for regular pasta. We were sent the Lasagne sheets to try and whilst the uncooked texture was a little strange once cooked they were actually not to bad. 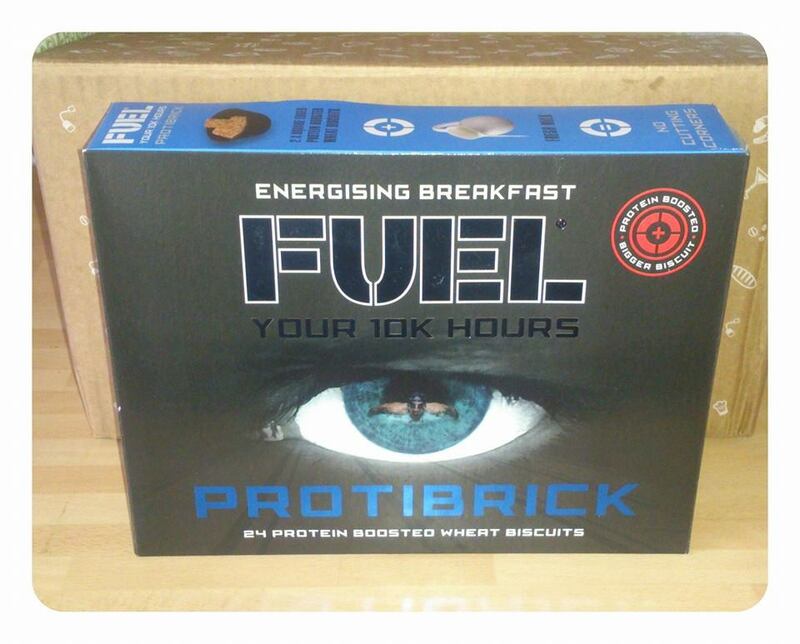 These are carb free and only 21 calories per 100g serving so if you are watching your weight or cutting our carbs these are definitely worth a try. This kids coco juice has a twist with the added flavour of banana! It comes in a handy 200ml carton with straw and offers a low acidity drink for kids. Unfortunutly none of us in our family are a fan of the coconut flavour and so this drink wasn't for us and neither of the kids wanted to drink it. 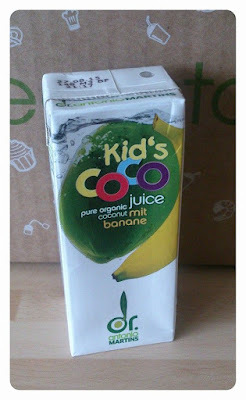 I can see it being popular though if your child likes the coconut flavour as the cartons are handy lunch box/ picnic size. Fuel 10k is the first ever protein boosted wheat biscuit and has been designed to help increase protein in to our diets and to keep you feeling fuller for longer. These are made from 100% wholegrain, they are high in fibre and low in sugar and fat. Overall this month we were a little disappointed with this box, aside from a few marinades there wasn't really a clear bbq theme as suggested more of a health kick or get fit theme. However as always all of the products got used up some way or another and therefore ultimately saved us money and gave us the opportunity to try products we wouldn't have tried before, for me that's the whole point of Degustabox! If you want to try Degustabox yourself them use the code XP1PP to receive £3 off your first box making it just £9.99!